obopolls often had a significant Republican bias. (Even the automated polling firm Public Policy Polling, which often polls for liberal and Democratic clients, projected results that were slightly more favorable for Mr. Romney than what he actually achieved.) 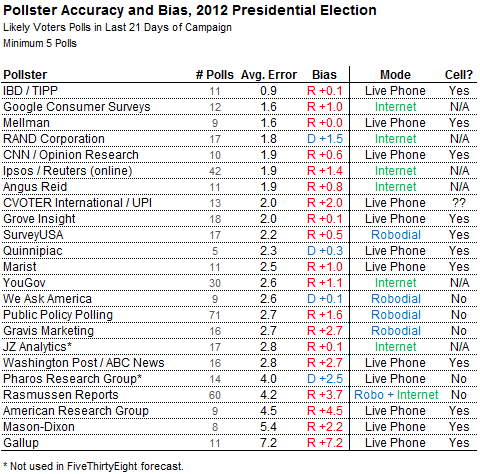 The online polls had little overall bias, however.